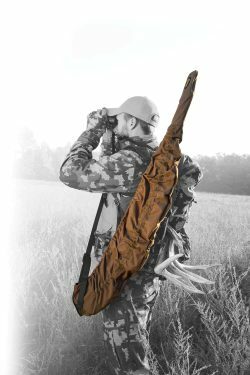 The Caldwell® Fast Case Gun Cover protects firearms from all that Mother Nature can throw at them. 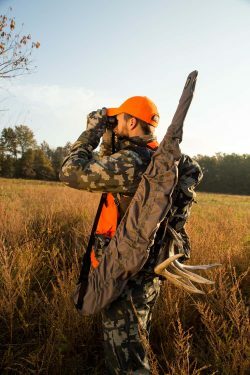 Durable ballistic fabric stands up to thorns, sticker bushes, or any other abrasive surfaces. 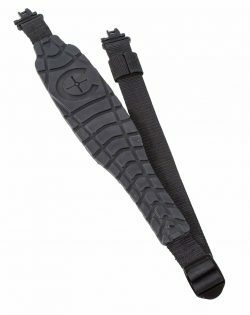 The PVC lined fabric provides a water resistance to the firearm in rain and snow. 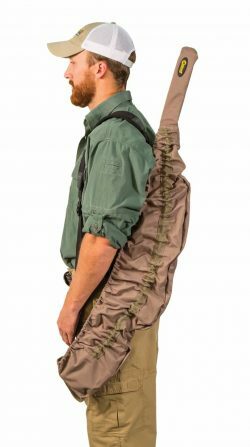 The large bottom opening allows the user to keep the firearm covered but still allows them to carry it with a standard sling. 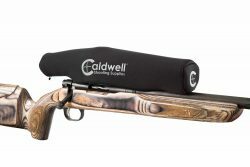 The Caldwell Fast Case is very easy to put on and fast to take off when the shot matters most.